Sustainability is moving from the margins of business to the centre. Key factors and major global events transforming the business environment include climate change, renewable energy, oil spills in the Gulf of Mexico and the Timor Sea, Asian sweatshops, patterns of global poverty, and indigenous rights. A new paradigm of business - sustainable business - is emerging: firms are accepting a wider responsibility for environmental and social wellbeing. At the same time, sustainable business offers enhanced business value: better management of risk and new market opportunities. Firms that actively engage with it are positioning themselves for globalmarket leadership. This work presents a map of the new principles of business and a guide to their application in core disciplines: accounting, finance, marketing, operations and organisation. It presents a challenging and stimulating view of contemporary business for undergraduate university studies. 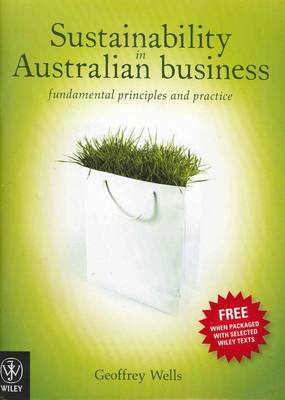 It is a guide to business in the sustainability age.